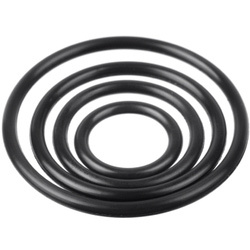 Also known as an O-ring, seal-o-rings are mechanical gaskets in the form of a torus. This part serves is an elastomer loop with a circular cross-section, intended to be seated in a groove and compacted while being assembled in the middle of two parts. This function produces a seal at the point where the two systems meet. Because all mechanisms are different and yours may require a different O-ring than another, Industrial Bearings & Services an entire host of O-rings, and with our help and guidance you can select the one for you. We associate with brands that supply O-rings of the highest caliber. You’ll need premium O-rings for premium mods to your apparatus. We understand that. The supported applications and design attributes of each brand will differ from O-ring to O-ring. So you may want to consult with one of our experienced team members to ascertain which of the O-rings are most suited to your automotive, off-highway, PT, or manufacturing application. Some brands, such as DICHTOMATIK, may supply O-ring kits, which include a number of necessary service parts, in a number of sizes, materials, and styles. They’re intended to suit your modification needs and make the task a much simpler one. DICHTOMATIK’s kits range from standard O-ring kits, to metric O-ring kits, K-kits, and warehouse kits. Consolidated also offers a full range of metrics, standards and custom seals, which also include back-up rings, quad-rings, and oil seals. O-ring cords are also a provision available through CONSOLIDATED. These are vulcanized rings and extruded lengths designed for the optimization of your application. You have many options to consider, and they don’t just stop at what is listed here. Which assortment and size is right for you? Most cannot answer these questions outright. And that’s fine. Because our team of experts with more than 200 years of combined experience can set you in the right direction. Are you local to the Houston or Southeast Texas area? If so, we’re just an in-store visit away. Otherwise, we’re contactable on a virtual level via email or a simple phone call.